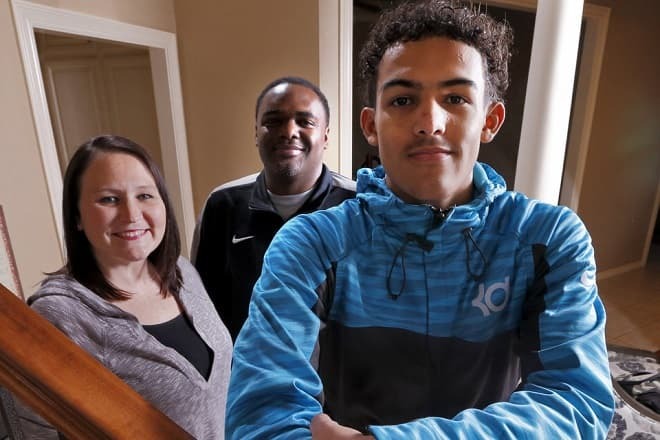 If you follow basketball closely, you probably already know about Trae Young. He is one of the most famous American professional basketball players. He currently plays for Atlanta Hawks of NBA (National Basketball Association). His rise to stardom soon took place after he gave an outstanding performance with the Oklahoma Sooners. Since, the time he became a part of the National Football Association family, he soon became the talk of the town. Given the kind of performance he delivered, it is not at all surprising that he rose to fame this fast. This was just the beginning of his career and before he started playing at international basketball matches. At the time of NBA draft 2018, he was selected by the Dallas Mavericks. Young is undoubtedly a very talented basketball player and he has proved his skills in many of his matches. Struck by stardom, his net worth is somewhere around the US $5 million. This 6ft 2in tall player is a 2016 FIBA gold medallist. He was also named to the Jordan Brand Classic and 2017 McDonald’s All-American. Since Young is a star basketball player, his fans have been quite inquisitive about his personal and professional life. Considering that very fact, we have decided to give you guys a little insider into Young’s life. Come let’s take a look into his life and his journey to success. Young was born on September 19, 1998, in Lubbock, Texas. 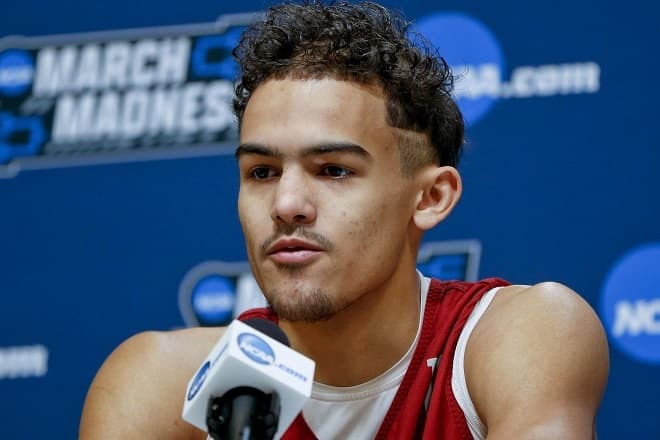 His full name is Rayford Trae Young but it seems he likes to use his middle name. He has inherited his charming looks from his biracial factor. He is a mix of African-America and Caucasian. His origin has always been in question as some consider him to be an American while others as Asian because of his looks. For the records, his nationality is American. Young has basketball in his genes. His father, Rayford Young was a professional basketball player in Europe. Not only his father but Young also has an uncle who played basketball in college under the NAIA. He was born to Candice, his mother. He has got three siblings, Camryn, Timothy, and Caitlyn. Young spent most of childhood in Norman, Oklahoma. He did his schooling from North High School after which he attended the University of Oklahoma in 2017. While he was still in high school, he didn’t participate in any of the basketball matches in his freshman year. He ended up being the part of the team only in his sophomore year. That very year he assisted Norman North and averaged 25 points along with 4 rebounds and 5 assists per game. They won the 2015 area championship and also won the tag of Oklahoma’s sophomore of the Year. He improved his game while he was in his junior high school years. He helped his team win the regional title. Not only that, but he also helped them to bag the runner up position in Oklahoma Class 6A championship game, 2016. He was named as Oklahoma’s Player of the year. His performance further improved during his senior high school years. After graduating from Norman High School, Young joined the University of Oklahoma. During his time with Oklahoma Sooners, he managed to impress the coaches with his outstanding performance. Not just that, but he also made records that made people compare him with star basketball players like Buddy Hield and Blake Griffin. He was a part of the school team for just one year after which he decided to join the NBA draft in 2018. The same year in June, young was selected by Dallas Mavericks. He was selected with the fifth overall in the NBA draft. However, he was soon traded to Atlanta Hawks for Luka Dončić, a Slovenian basketball player. Currently, Young is playing for Atlanta Hawks. Young started his basketball career from his High School. He may not have participated in the basketball team during his freshman year but later he delivered an outstanding performance in the team in his sophomore year. He ended the season with 25 points, 4 rebounds and 5 assists. With his extraordinary performance he bagged the title of Oklahoma's sophomore of the Year. As a junior player, Young worked hard on skills and improved significantly in his matches. His efficiency reached up to 34.2 points, 4.6 assists and 4.6 rebounds. The season ended with the trophy of Oklahoma class 6a Championship. His performance for other improved during his senior years. His efficiency reached up to 42.6 points and 5.8 rebounds. This earned him the McDonald's all-American honor and was also named to the Jordan brand classic. In 2016, young competed at FIBA America's U18 Championship which took place in Chile. He managed to you won gold as a member of the USA team. As Young continued to prove his skills in the basketball ring, this brought him the Stardom he is enjoying currently. With his outstanding performance and skills, he was dubbed as a 5-star recruit by 247Sports and ESPN. Later in the year 2017, he became a part of Oklahoma Sooners. 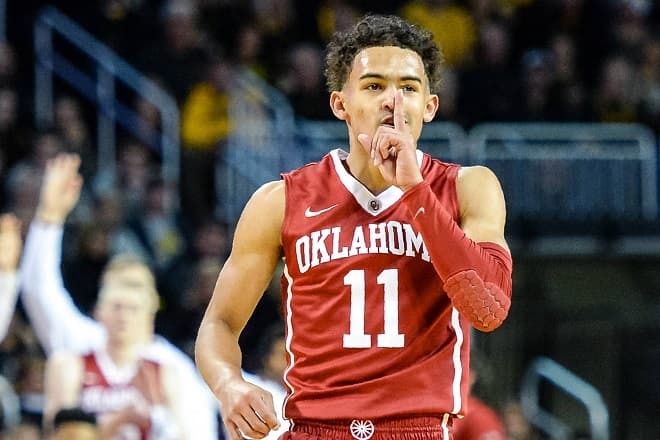 There he recorded his first double-double for the Oklahoma Sooners. In December 2017, Young tied the NCAA single-game assists with a record of 22. He defeated the northwestern state Demons by 26 points. 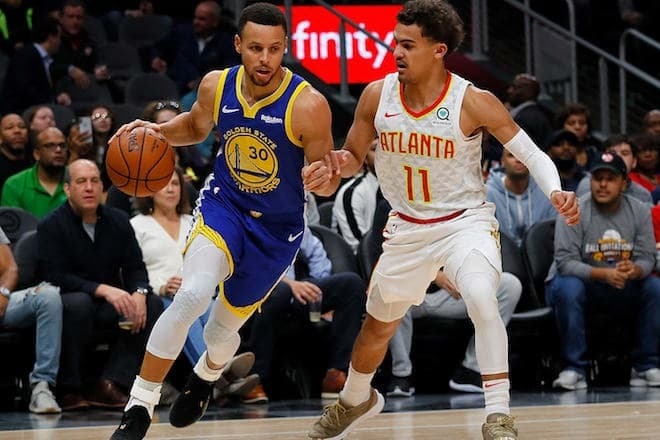 Young's talent and style of play have led him to be compared with Stephen Curry, a star player from the Golden State Warriors. In the 2018 NBA draft, Young who are selected by Dallas Mavericks with the 5th overall. He was later traded to Atlanta Hawks for Luka Dončić. As a young player, Young has really proved his skills in many of his matches. His outstanding performance has led to his stardom at such an early age. Given the current growth of Young, he is going to excel further in his basketball career. He has always been this passionate about playing basketball. His love and passion for basketball can be clearly seen from his performance. Young was traded to Atlanta Hawks in 2018 for Luka Dončić who is a Slovenian basketball player. Young was offered the rookie contract with the team. He agreed to his rookie contract, according to which he will earn a salary of $15,167,700 in his first three years of his deal. Young was actually selected by Dallas Mavericks. However, according to reports Hawks and Mavs had a deal which ensured that Young would never play for Dallas. This led to the trade of Young for Luka with a protected future first-round pick. Currently, Young is playing for Atlanta Hawks. In October during the third game of the season, Young ended the season with 35 points and 11 assists. They won the match against the Cleveland Cavaliers. In November, Young made his career high score with 17 assists, 3 rebounds, and 25 points. However, they still lost to the Los Angeles Clippers. During his starting matches with Hawks, Young proved his skills and performed really well. This got him a lot of appreciation from the people. In 2019, Young amazed the crowd with his second season-high score with 10 assists, 36 points. They won the match against Minnesota Timberwolves. Two days later on March 1, Young broke his own season-high record with 49 points and 16 assists. This is by far the best performance delivered by Young. However, they still lost the match to the Chicago Bulls. 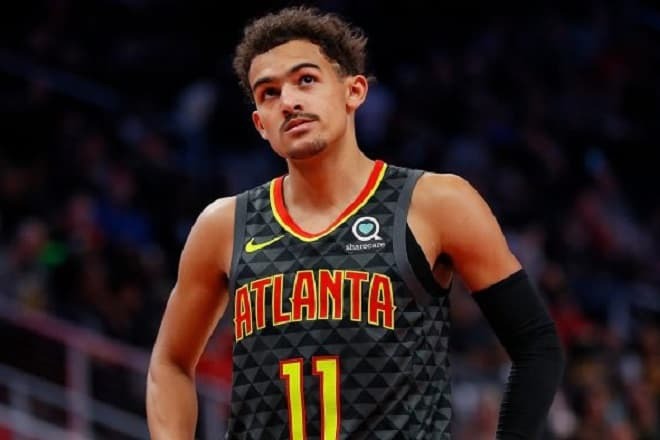 Young is currently doing really well in Atlanta Hawks. There is no news of him shifting to any new team in the future. Considering the career graph of Young, it is clear that he has only improved in his matches. He beat his own season high which was a great match against Chicago Bulls. Young is heavily influenced by Stephen Curry and Steve Nash. According to him, they are his favorite players in the game. Young has been proved talented from a very young age. His shooting skills have been compared to that of Stephen Curry’s college years. Whereas his passing ability is heavily influenced by Steve Nash. Young is known to have followed the footsteps of Donovan Mitchell. The rise to stardom at such an early age has led the fans to wonder about his personal life. Fans are always inquisitive to know about what he is doing in his personal life. This 20-year-old basketball player is really young. He is 6ft 2in tall and weighs up to 82 kg. However, both his weight and height may change over time as he is still young and thus, has the tendency to grow taller. Given the career stats of Young, he has a net worth of $5 million. He signed a contract of worth $11.26 million with Atlanta Hawks for 2 years. Based on the contract, he will be earning around $5.8 million. Apart from that he also has an endorsement with the famous sports brand Adidas. Young is actually a very young player. At the age of 20, he has achieved a lot of success and is going to achieve more in the years to come. The fact that he is only 20 he is considered to be one of the hottest basketball players out there. The biracial genes have contributed to the great looks of the basketball player. He is a mix of Caucasian and African-American. There has been a lot of gossips regarding his race. Fans have always been curious to know his ethnicity. He has been regarded as an Asian by some. However, he is considered to be an American since he is born in the United States. Young’s dad Rayford was a professional basketball player himself. This very much clears the mystery of how Young has such great talent. Not only his father but Young also has an uncle who played basketball in his college days. Young grew up with these three siblings, one brother, and two sisters. Young has always been a very loving child to his mom Candice. His parents were always very supportive of him. Young has tasted stardom at a very early age. Considering his stats, it can be said that he has only improved his skills. Young has a huge fan following in his social media platforms. However, he is more active on Instagram. If you are a fan and would like to keep daily updates about your favorite basketball player, you can follow his Instagram account. If we talk about his love life, there is no news of him having a girlfriend currently. But a man of such talent is sure to find someone sooner to date. Till then, fans need to keep their calm. Since we are talking about his personal life, it is totally convenient to talk about his looks. Being a biracial man, Young looks very handsome. He has won the hearts of many ladies while showing his killer moves in the basketball ring. His biracial genes add to his good looks. It is needless to say that he is very tall. After all, every basketball player is mostly tall. His black hair and brown skin tone makes him really hot for his fans. Let’s not forget to mention his lean and athletic physique. 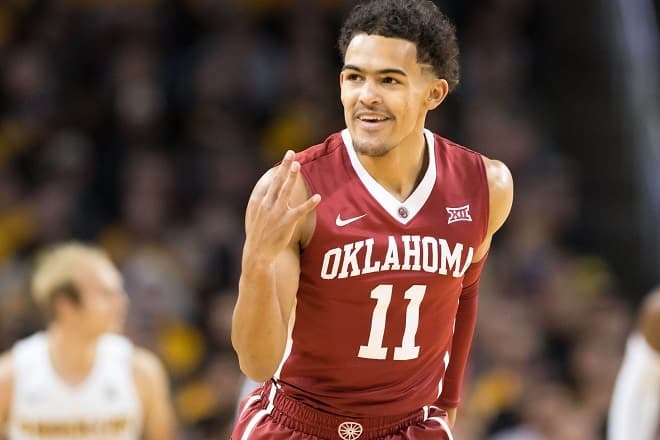 Trae Young is one of the most successful basketball players in America. He is only 20 and still has managed to gain a lot of fame and success for himself. We can only expect him to achieve more and reach newer heights.